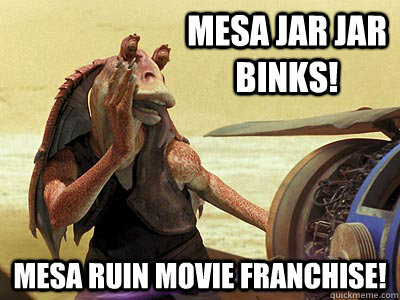 Jar Jar Binks isn’t the only “jar” that ruins things (I’m not sorry for the terrible joke). Jars are the worst possible containers for most skincare products, yet the skincare industry uses them over and over and over again. Some of the most expensive products from Kate Sommerville to Yves St. Laurent are in jars. I recently read an article titled “Most Expensive Skincare Products” and found that 8 out of the 10 products listed (ranging from $165-$1,050) were all in jars! Go ahead and google “expensive skin cream”, switch to images, and feast your eyes on the rows and rows of jars. When you find out why this is terrible, you’ll want to kick everyone (including yourself) right in the face. Because, my lovelies, when you purchase skincare products packaged in jars, you’re basically flushing all that hard-earned money down the toilet. 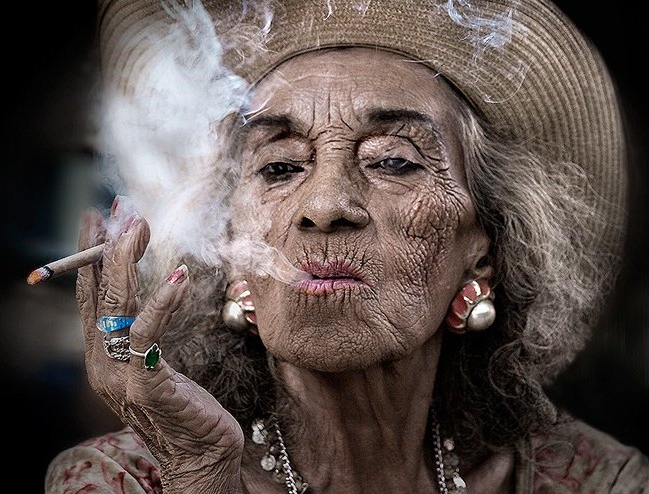 The “age-fighting” ingredients in about 99% of skincare products, are highly unstable and react (meaning they do their job and then become useless) when exposed to oxygen, sunlight, and heat. Every time you open a jar with those ingredients in them, you’re killing off the expensive product you practically sold your first-born child for. Annnd… Every time you stick your dirty little fingers into the jar, you’re introducing bacteria into a moist, dark environment where it can thrive and create its own civilization! YAY! Keep reading for a more in-depth AND HILARIOUS (cuz I’m funny and also smart and cool and humble) explanation! There are two main (and generally agreed upon in the science and skincare community) causes behind the majority of aesthetic aging of the skin (wrinkles, spots, loss of elasticity, etc.). The free radical part is a little crazier/more scientific and I’m gonna have to lay down some information for ya. 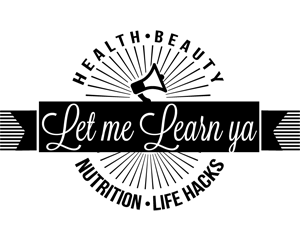 Now, I know y’all ain’t used to learning, thanks to your Pac Man video games, Hula Hoops, and Dan Fogelberg music (if you get that reference you get 100 pts. ), but I believe in you. 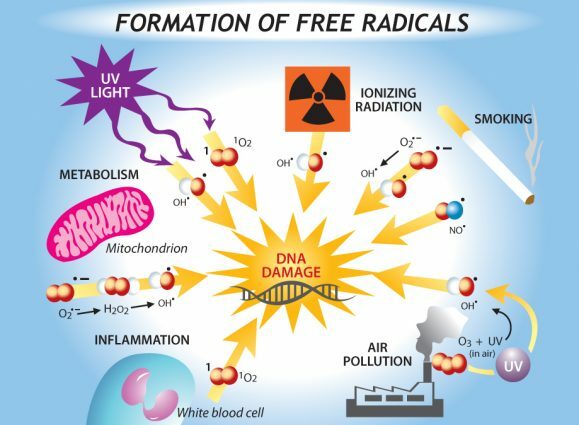 Ahem… Free radicals are these jerk types of atoms/molecules that are ridiculously unstable and LOVE to cause damage. They can’t help themselves! Imagine that you throw a house-party and there’s that one jerk who gets way too drunk, causes fights, vomits red wine on your white carpet, and breaks your prized soccer trophy from the one tournament you won in 5th grade. Now picture a multitude of those drunken jerks in your body and on your skin. 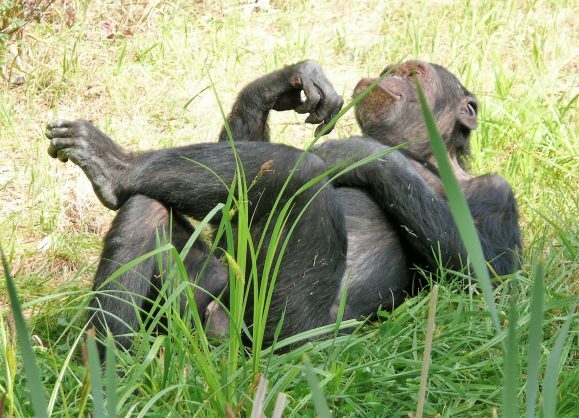 Technically speaking, free radicals have unpaired electrons and scavenge around stealing electrons from other places to make themselves feel all “zen” and balanced. 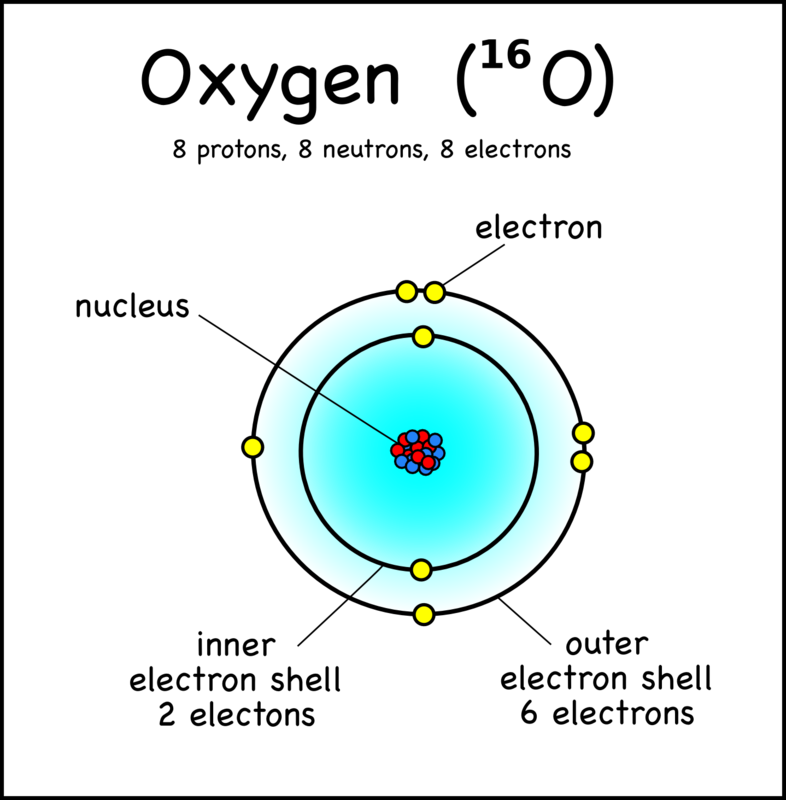 When they steal these electrons, they can cause damage to other cells. I can’t decide whether to love them or hate them!!! So How Do You Fight Those Jerks? The little dudes that can help to fight free radicals are the super-human kamikaze fighters I’m sure you’ve heard of: Antioxidants. You can find these little guys in a lot of “super foods” like blueberries, dark chocolate, pomegranates, etc. You can also find them in like 99% of skin creams, serums, toners, lotions, and sometimes even in face-wash (although they’re pretty much worthless in this instance since you immediately wash them off your face). Antioxidants are basically the cops who remove the drunken jerk from the party. Except that they don’t just arrest the guy, they literally sacrifice their jobs to keep the drunken dude from f’ing up your party. To review: Free radicals damage our cells by stealing electrons whenever and wherever they can. They’re hungry for our electrons, man!!! 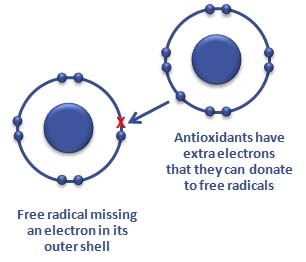 Thankfully, antioxidants have extra electrons they’re willing to give up. When they see a free radical itching to steal, antioxidants jump in and sacrifice their own electrons so your cells don’t have to suffer! Now that’s that I call a real B.F.F.! By doing this, they neutralize the radical, chilling it out with its newly paired electrons. So What the HECK Does This Have to do With Jars? Get ready folks… This is the whole point to the article and the moment where you realize HOW MUCH MONEY you’ve wasted over the years. To calm its little heart, a molecule of oxygen is usually found latched onto something else, often another oxygen molecule, forming O2. When this happens, the lonely electrons from each molecule can stand next to each other and pretend their lives are not so unfulfilled. We all know how this works, though; you can only pretend for so long! As they float along in the air and come into contact with other molecules, the charade begins to falter. And oxygen molecules do not take this lightly! In fact, they have been known to throw a bit of a chemical temper tantrum and turn into… Did ya guess it? Free radicals! This process is totally natural and happens CONSTANTLY. 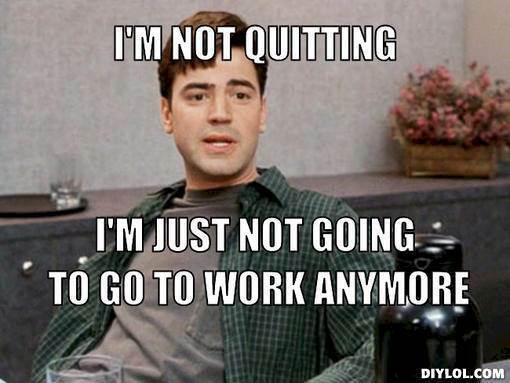 It’s literally unavoidable. But the really screwed up part is that our bodies exploit this vengeful rage for our benefit. Like I mentioned earlier, we actually rely on them! For example, these angry guys can channel their abandonment issues into killing harmful bacteria. Sometimes you have to fight evil with evil, folks! But since we are always surrounded by oxygen and, therefore, free radicals, we amass too many of these little a-holes and require the assistance of antioxidants. To summarize: oxygen is a highly unstable/weirdo molecule that, while we need it to live, causes crazy damage all over the place, e.g. turns cut apples/avocados brown, ages your skin, rusts metal, etc. Our bodies have a seriously weird love/hate relationship with it. It is sometimes even called “The paradox of aerobic life”. Lolz. So let’s put this all together. As we’ve already learned, antioxidants react with free radicals and then become useless. Therefore, if antioxidants are stored in a jar, every time you open that jar and expose the entire product to oxygen, a good amount of the antioxidants will react with the oxygen… and then they’re done. They can no longer work as antioxidants and might as well not even be there! Picture it this way: You have an airplane hanger full of eager-beaver kamikaze pilots ready to suicide themselves all over some jerk enemy. They are ready to go!!! Every time you open the airplane hanger, the kamikazes take that as a signal to fly out and kill themselves all over the place. The more you open the hanger, the more kamikazes you lose. Pretty soon, you’re left with a very expensive and very empty hangar. That’s what happens every time you open that stinkin’ jar. Eventually, that expensive goo will lose all of its antioxidant power! And on top of that, you’re introducing your own bacteria (by sticking your dirty finger in the jar) into a moist and sheltered climate where it can grow into millions of monsters that crawl all over your face and give you zits! Yippee! Say goodbye to any type of skincare product in a jar. I don’t care how cute or how pretty they are, say goodbye. Forevarrrr. Buh-bye waste of money! Buh-Bye bacteria growth! Now keep in mind, you’re always (no matter how hard you try otherwise) going to expose the product to some amount of oxygen before it reaches your face. But you want to limit that exposure as much as possible by avoiding jars. 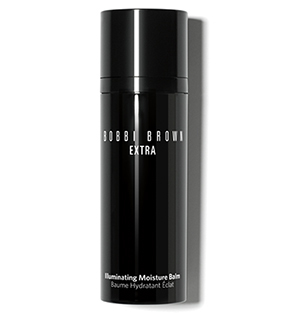 In bottles with pumps, spouts, or some sort of funnel/tube that lessens the exposure of the product to the elements. If it’s in glass, make sure it’s darkly-colored glass to protect the product from light exposure. In regards to plastic packaging, you don’t want sheer or clear, you want solid and opaque! So now you’re smarter and ready to save your money! 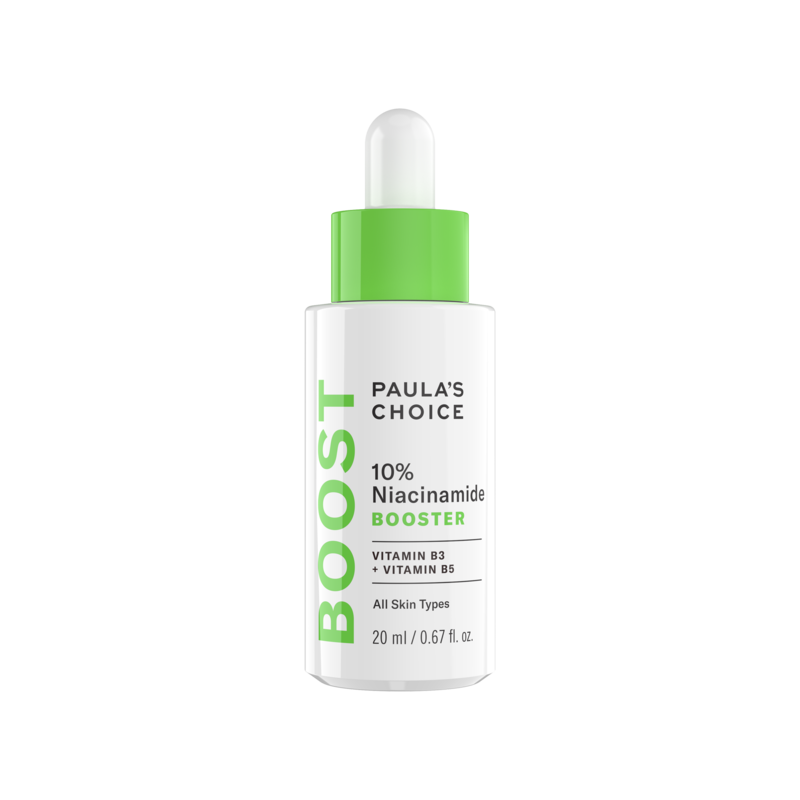 Say goodbye to the jars and hello to better-looking skin!